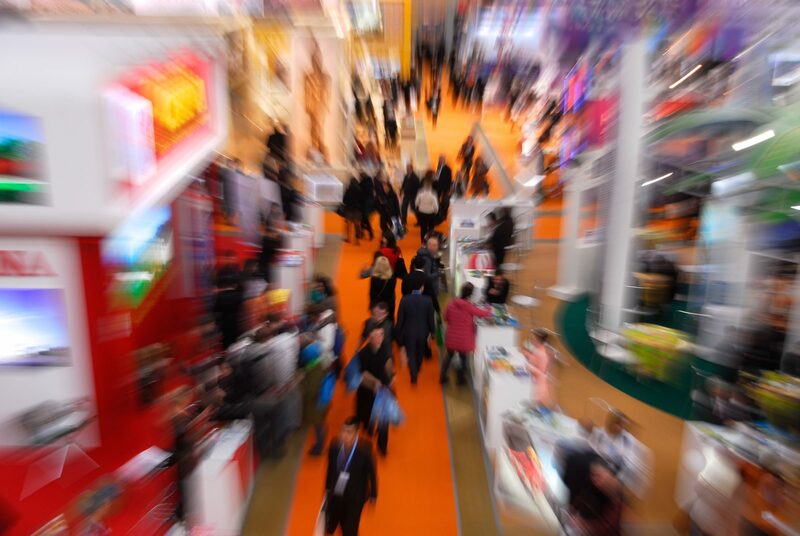 What comes to mind when you hear the words “trade show?” If you’re like most, you likely picture cheap pens, stacks of business cards, and countless awkward networking conversations. But trade shows don’t have to be dull. The trade show booth presents an incredible opportunity to connect one-on-one with potential customers, clients, partners, or investors. This is your company’s time to shine. Our advice? Think outside the box. Or in the case, the booth. Forget everything you thought you knew about trade shows and create an experience you would want to visit. Need an idea? We have more than a few. Just because your product’s process is routine to you doesn’t mean it isn’t fascinating to others. Scale down your product’s operation and display an assembly line, final fabrication, or even just a part of your manufacturing process for curious minds to watch. LA yesterday, NYC today. The graffiti wall getting some miles in! Thanks @flavorpill and @bustle for having us out to the #BlackMonday Sneak Peek event!!! Whether we’d like to admit it or not, we human beings are a vain species. The good news: tapping into our vanity by way of eye-catching photo op is a sure crowd pleaser. If you have access to a brand-relevant mascot or prop, look no further. If not, consider renting an eye-catching setup like a graffiti wall, mirror photo booth, or a photo strip wall. In order to retrieve their memento, collect email addresses and send the images digitally. When the event is over, you’ll have gathered a valuable list of leads. Sometimes, you just need a break from it all. Give trade show wanderers a chance to blow off some steam with a classic arcade game, glowing skee ball, or a massive Pac-Man system. The only price for admission? Responses to a survey that your brand managers desperately need answers to. Your lead list will grow while your visitors’ stress melts away under the glow of a dot-eating orb. The spirit of invention is something to behold. And few things can stoke more affection for a business than seeing the humanity behind the goods or services. Give your customers a chance to shake the hands that craft your beer, design your shoes, or prepare your cuisine. Answer visitors’ questions and watch as their affection for your brand deepens before your eyes. No, you don’t need an in-house celebrity to pull this off. If your line of business is more on the subtle side (we’re looking at you, insurance companies), consider another attraction altogether: the celebrity appearance. For a modest honorarium, hometown soccer, baseball, football stars can offer autographs to fans and a boost of energy to your booth. Looking for something less…alive? Especially ideal for auto-related brands, an appearance by a famous car comes with all the benefits of a celebrity appearance without the attitude. Deep-pocketed brands have played host to the amphibious Chitty Chitty Bang Bang car, the Batmobile, and Doc’s famous Delorean. But such royal rides come with steep insurance and transport costs. For smaller budgets, replicas can be rented from local aficionados. Not sure where to start? Contact a local car club and brainstorm together. Far from unusual, the prize wheel has become a staple of most any trade show. Why? They work. The chance to win a prize gets adrenaline pumping and lines forming. Use the attraction to your advantage, offering spins in exchange for whatever benefits your business most. Perhaps that’s an email address, a follow on social media or a $1 donation to a charity. The difference between prize wheels that thrill and those that disappoint? At least one prize worth screaming for. Fill the cube with play money and offer a discount on your product in the amount a customer is able to grab in 30 seconds. Collect business cards as lead generation, draw one every 15 minutes, and reward the winner with a turn in the cube. Collect charitable donations and reward big givers ($1000+) with 30 seconds in the booth to collect $5 gift certificates from a partner restaurant. Few things stop people in their tracks better than cash. One of them? Gross stuff. At a recent chamber of commerce event, a utility company displayed samples of wastewater to show customers that on-trend “flushable wipes” weren’t flushable at all as they sat undissolved in clear jars. An anti-smoking campaign could display diseased lungs to give attendees a peek at the harsh reality. Or a hand sanitizer company could shock audiences with Petri dishes full of bacteria cultured from everyday objects like hand dryers, restaurant menus, and airport bins. Who doesn’t love a good DIY project? Get crafty with your attendees in a relevant way. Rather than hand out typical cause-promoting t-shirts, have your statement or logo printed simply in black on a white tee, then let visitors tie-dye a shirt to take home. And rather than give away a sample of your special chai mix or hand soap, let customers mix a batch according to your recipe and take it home with pride. Yes, there is a way to engage people in something timely, powerful, and civic without getting political. The answer? Registering to vote. Only a citizen can register themselves to vote, but anyone can point them in the right direction. Rules vary by state, so check out your state’s regulations here. You’ll take care of three things: associate your brand with a patriotic activity, further the cause of democracy, and give visitors a great reason to stop and chat. Hoping to share your vision of downtown with business owners? Want to communicate the reality of glacier melt? Bring people with you, virtually. Have a video team create a custom 3D video and rent a virtual reality system to display it without making a pricey investment. 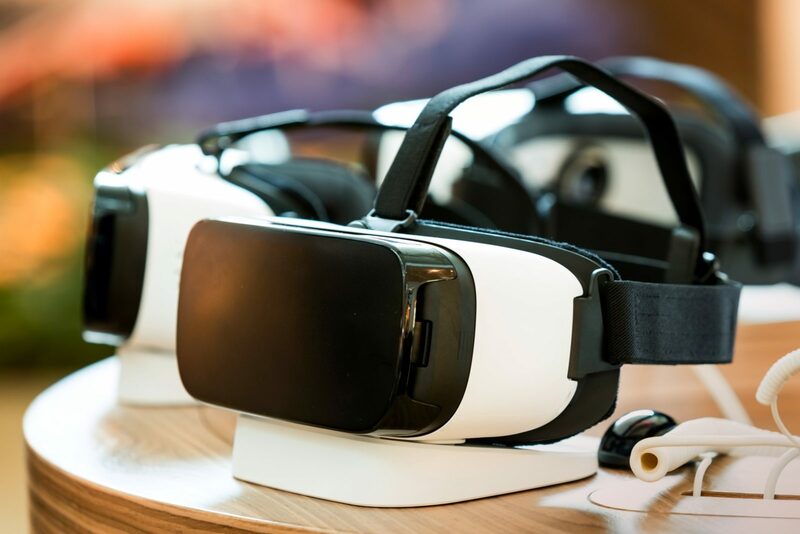 For many attendees, yours could be the first virtual reality experience they’ve had. All will leave with a better understanding of your vision. Do you sell a tennis racket, a specialty knife, or a golf club? Bring in a respected pro and let ambitious attendees test their skills against them. Whether its playing table tennis against a world record holder, shooting hoops with a Globetrotter or mincing onions with an acclaimed chef, laughs will fly, spectators will gather, and your product will be the center of attention. Think of a typical use case for your product or service. Now, what’s the opposite of that? Turning the tables is a fabulous way to provide an experience that’s also a display of what you have to offer. What’s an example? One of the world’s leading stun gun manufacturers gave police officers the opportunity to be zapped by their product at a law enforcement convention. Believe it or not, the social pressure (and social media value) resulted in more than a few takers. Here’s a way to guarantee not one but TWO visits to your booth: offer complimentary phone charging. You can rig your own system or rent a turnkey phone charging station. Just make sure your security system is robust. If you’re rigging a system of your own, have a staff member record IDs when customers leave their gadgets and check again as they leave. Make it a civic duty to come to your booth. Is there a cause that’s near and dear to your brand? Perhaps you’re an outdoor gear company that’s passionate about increasing funding for clean air and water, or a pet food company that wants to increase punishment on animal abuse. You’ll support a good cause while drawing like-minded people to your booth. Who among us didn’t fantasize in childhood about striking it rich in a pizza shop claw game? Infuse your booth with a dose of nostalgia and an opportunity to win with a claw machine. Why give away promotional items when you could make passers-by claw for them instead? Or, tell a story by filling the machine with contents that communicate a user experience, like red tape, paperwork, and legal fees to communicate the poor customer service of a competitor. Buried beneath it all, a surprise treasure. Sell shoes? Have a graffiti artist splash them with a custom color. Sell metal goods? Offer complimentary engraving while customers watch. 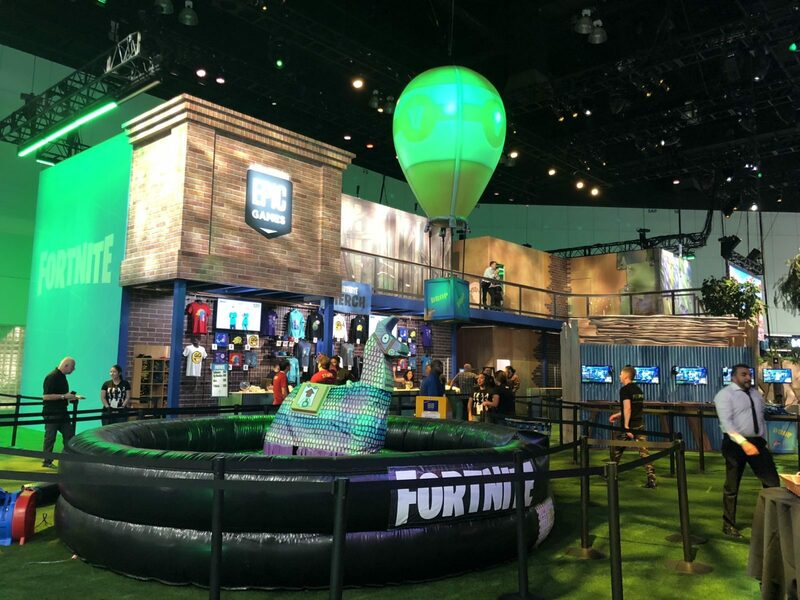 The bottom line: if your exhibit rules allow you to sell product on site, don’t just offer a traditional retail experience. Delight your visitors with a customized product and a unique experience they can only find there.